Farce the Music: Has Sam Hunt Ever Said He Was Country? 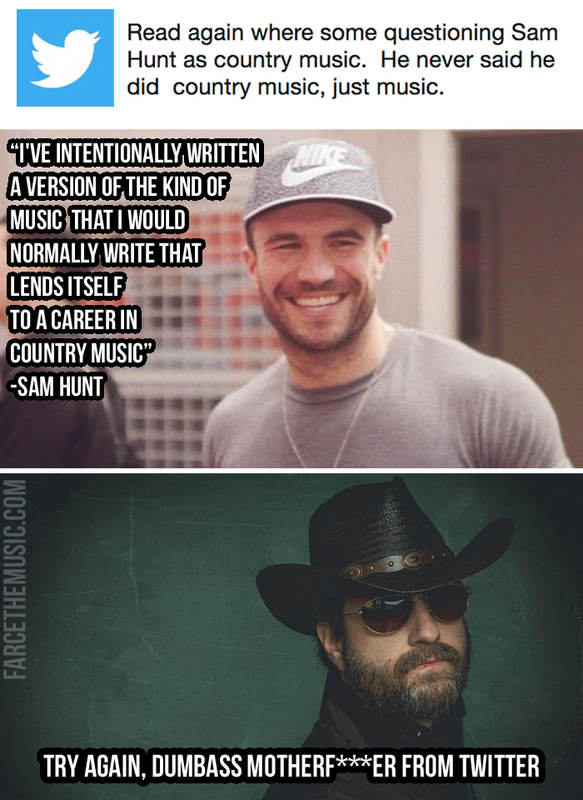 Has Sam Hunt Ever Said He Was Country? Granted, that's a really vague and non-committal quote from Sam, but whether he claims to be country or not, he does claim to desire a career in country music. Thus, "country singer." Labels: memes, Sam Hunt, Satire, Wheeler Walker Jr.